U.S. District Court for the Central, Eastern, Northern, and Southern Districts of California. Valerie Alter is a special counsel in the Business Trial and Entertainment, Technology and Advertising Practice Groups in the firm's Century City Office. 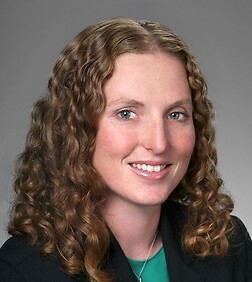 Valerie is a litigator who represents clients in business disputes and class actions involving claims of unfair competition and violation of the California Consumers Legal Remedies Act and false advertising laws, among others. She also represents clients in high stakes probate litigation and intellectual property and media law matters, including trademark, copyright, right of publicity, trade secret, privacy and First Amendment claims, and anti-SLAPP issues. Valerie appears in state and federal courts across the country and has advocated for her clients in more than 30 appellate matters. Valerie leverages her broad procedural knowledge, strategic vision and skill managing collaborative, cost-efficient litigation teams to provide positive results for her clients. Obtained summary judgement and prevailed on appeal in a contest of the trust of Douglas Tompkins, founder of The North Face and Esprit apparel companies. This judgment had the effect of preserving hundreds of millions of dollars for the creation and expansion of national parks in Chile and Argentina. Walker v. Ryker et al., No. B285872 (LA Sup. County). Defeated motion for preliminary injunction, in part on procedural grounds, in a First Amendment case, leading to successful resolution of HRDC v. County of Los Angeles, No. 2:17-cv-04883-R-AS (C.D. Cal. 2017). Achieved summary judgment on trade secret claim. OFS v. LADWP et al, No. BC 589967 (LA. Sup. Ct. 2017). Successfully represented media client in connection with privacy claims arising from broadcast. P.S. v. Scripps Media, Inc., No. D070266 (CA Ct. App. 2017). Successfully compelled arbitration in putative class action and later prevailed on appeal. Andermann v. Sprint Spectrum LP, 785 F. 3d 1157 (7th Cir. 2015). Obtained summary judgment on trademark and unfair competition claims. Webceleb, Inc. v. Proctor & Gamble, Co. et al., No. No. 12-56943 (9th Cir. 2014).